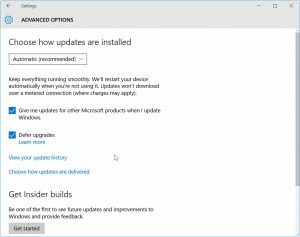 Windows 10 Spring Update – Embrace Or Delay? 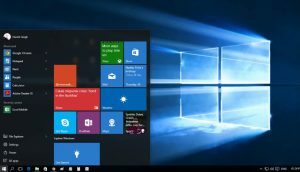 The year’s first of two major feature updates to Windows 10 will occur in April (the second will come in November). Microsoft allows some customers to delay major updates for up to a year. Are you among those chosen ones? Should you postpone major updates or let them happen on schedule? Read on to learn the answers to these and other burning questions about Windows 10 Spring and Fall updates… You’re asking yourself whats this got to do with Second Life? Well it’s always been my opinion that without proper running OS/updated (operating software) Then the rest of the software/hardware on your computer won’t work as well. So if you are still running Windows XP to 8 it’s about time you upgraded and update. Second, if you have not been updated to the last major update, then the next one will not be delivered to you, and you will not be able to install it manually. The 2017 Fall Creators Update is Version 1709 (Each Version number consists of the year [‘17] and month [09 – September] of the update’s scheduled release). 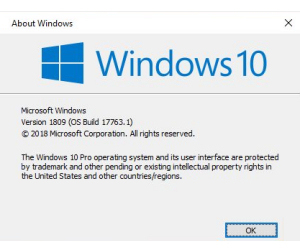 It is important to have Version 1709, else Version 1803 will not install. If you need to install Version 1709, use the Media Creation Tool to do an automated re-install of Windows 10; it’s the easiest and most foolproof method. You can find instructions on Microsoft’s Download Windows 10 page. If you have the Home Edition of Windows 10, you cannot postpone major updates. Only users of Windows 10 Pro, Enterprise, and Education Editions are allowed to delay major updates, presumably because their IT departments carry more weight with Microsoft than your family does. Should you defer major updates if your Edition of Windows 10 permits it? It depends on how well Version 1709 is serving you right now (or soon after you finally get it installed). I have few complaints or unfulfilled wishes; so I will defer the Version 1803 update a few months to give Microsoft time to iron out the inevitable wrinkles. How-To Geek has an exhaustive (and exhausting) review of all new features coming in Version 1803. “Easy Wireless File Sharing” piques my interest. A new app called “Diagnostic Data Viewer” shows exactly what data Win 10 is transmitting back to Microsoft; it’s “too much information” for all but the geekiest readers. “Quick Pairing for Bluetooth Devices” should have been here long ago. “Progressive Web Apps” will run in their own windows, have their own taskbar shortcuts, and generally behave as desktop apps should; unfortunately, they work only with the Edge browser. But PWA is a new standard for apps that Google, Mozilla, Microsoft, and even Apple are supporting, so it’s something you and I had better get used to. Just not at the same time as everyone else, please! Better user control over the permissions granted to apps is a welcome security feature. So is the improved “don’t let apps use my webcam” option. The Home-group concept is gone with Version 1803. Sharing files, printers, and other resources with a group of known or unknown users is better done with cloud storage and other modern solutions. The list of new features gets a little tedious after the above. If you can live without paired Bluetooth devices for a few months, you might avoid the pain of a new version’s bugs. So let’s see exactly how to defer the Spring and Fall updates, The following instructions assume you have Version 1709 installed. Go to Settings > Update & security > Advanced options. You will see three options. Option 2 works only on Enterprise, Education, and Pro Editions of Windows 10. It lets you add additional time to the update delay set by Option 1. You can add as many as 365 days, in which case you won’t see any major updates until mid-year, 2019. Option 3 has nothing to do with Spring or Fall feature updates. Instead, it lets you defer security updates for up to 30 days after their release date. I would pick about one week, giving Microsoft time to fix any bugs while limiting the time my system remains vulnerable.